The Hotel Elizabeth was awarded three times for the "Baguio's Hotel of the Year" (2007 - 2009). City of pines never fails to capture the visitors heart in many different ways. 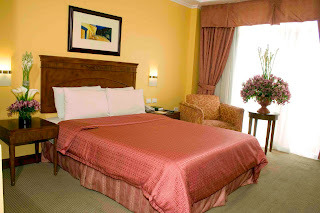 A Mediterranean style hotel simultaneously embraces the richness of nature, is the best way of having a true meaning of relaxation and vacation in Baguio. The renowned interior designer Mrs.Tessa Prieto-Valdes is the one who crafted the designs of every single details. Each and every guest-rooms, suites, and penthouses preserved and maintains its Mediterranean touch that laid you to the panoramic view which the place exclusively offer and gives you access to everything to need. 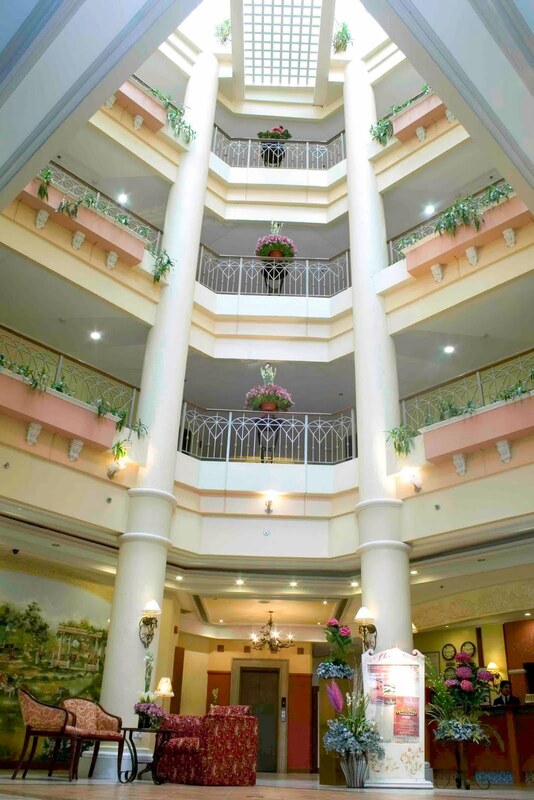 Once you enter the main hall, it will take your breath away all through out above, because it has an atrium that perfectly design with fashion. They also have a restaurant, "The Flora Cafe" which always have a gourmet dishes that will satisfy your gastronomical cravings. The Santorini Ballroom is also available as a perfect venue of different occasions like weddings (which i always wanted but cant afford it), debuts, corporate parties and conferences.Events like this which the hotel will make extra special for you because of the facilities and services that only, they can offer. So have you decided there you would stay this summer season ??!! Its until March 2, 2010.